First, we must understand the meaning of the word ‘sabr’. That is, we must look at its application in different contexts and situations. After that, we can reflect on what the virtue of it is. Sabr is of two kinds, active and passive; and found in two forms, individual and collective. 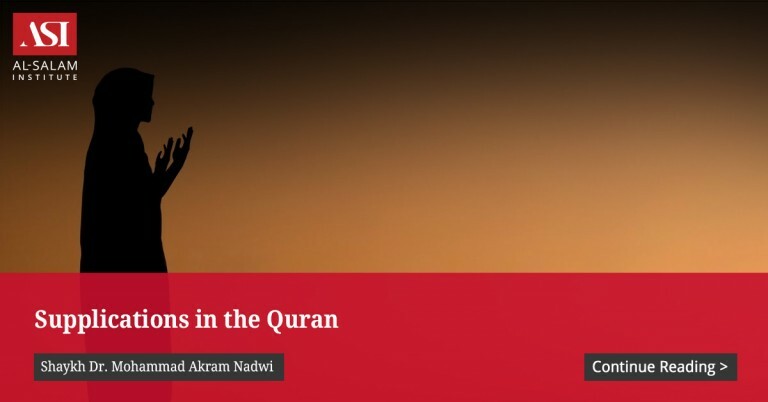 The fact that the Qur’an (in commending Sabr in different contexts and situations) uses the same word, tells us that there is a shared or general value, common to all contexts. Therefore, while differentiating the kinds and forms, we should also try to understand that common, general value. Active Sabr is (in English) endurance and perseverance with a commitment. 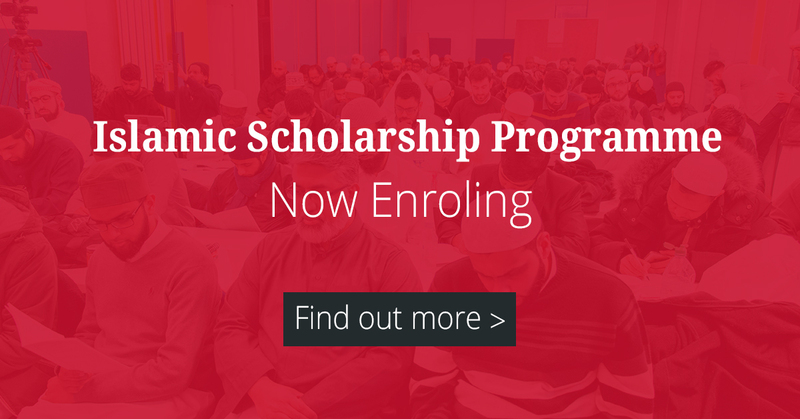 It may be that you have signed up to do a course of study. In this situation, Sabr is following the instruction of the teacher diligently, being curious and asking relevant questions, listening attentively to the answers, so that, by the end of the course you have understood the subject really well and are ready to study at a higher level, or yourself take the subject to a higher level. It may be that you have undertaken a job on certain conditions, like a definite time or cost within which you must complete the job, and other specifications. In this situation, you are Sabir if you do your utmost to do the job right and well, and to the agreed specifications. You may not, as a Sabir, be content to make it look as if you have done the job, and run off with whatever the reward is for the job – you will always know that you did only what you could get away with, not your best. The common value in all this is strength of purpose. Most human purposes involve other people, working with them to achieve a shared goal. This is collective Sabr. It involves being clear (not confused) of purpose; ensuring that each member of the group (or team) understands the overall purpose and their part in it; remaining united in determination and resolve, keeping each other in good spirit; sharing costs and rewards, blame and credit, fairly among the group; etc. So, if one member begins to waver, wondering when the journey will end, or if the journey is worthwhile, or if there is not another, easier path to take, etc., then another who is Sabir will support him, remind him of the purpose and maintain the vigour and resolve of the group. In both individual and collective Sabr of this active kind, the virtue inheres in doing the right thing because it is right, and therefore doing it as well as humanly possible. Included in Sabr is a commitment to right, to good: that is where Sabr is conjoined with, and flows in the same channel as, Iman. All actions have consequences, some foreseeable, some not. The Sabirun are those who endure steadfastly as the consequences unfold, making the necessary adjustments in their course so that they are able to keep going until the purposed action is done as well as it can be. By contrast are those who pursue the purposed action while the going is easy, while the rewards keep flowing, but as soon as hurdles appear (expected or unexpected), turn on their heels and proclaim that they never intended that purpose anyway or – which is much worse – that the intended purpose was never worth pursuing in the first place. Such people are described in the Qur’an as munafiqun. God is not with such people. He is with the Sabirun and the mu’minun. Passive Sabr is (in English) suffering (or ‘passion’) and patience. This is a reactive posture, but it is not therefore a negative thing. It is not the same as non-doing, as being passive and just letting things happen as they may. Active Sabr involves suffering and patience too, in that you endure hardships as they happen, and do not give up, you keep going. Passive Sabr is different from that: it is choosing to react in a certain, unexpected way. This way requires great inner strength because the temptation is to act in the expected way. In most cases, it is choosing not to retaliate, to turn away, when you are offended or attacked. But the good in this is not so much the non-retaliation or turning away; it is the determination (active resolve) not to enter into, and not get tangled and trapped in, what is bad. For example, if someone shows anger or uses offensive speech, you leave them: this is passive Sabr. (It depends on the particular situation whether or not you explain why you are leaving; sometimes silence is better, sometimes speech, but neither silence nor speech should demonstrate anger.) If someone says or does something offensive, you do not allow yourself to become angry, you hold back: this is passive Sabr. If someone blames you unjustly or says bad things about you, you do not do the same; instead you remember that other people praised you, and said good things about you, when you had not deserved it: this is passive Sabr. If you are ill and in pain, you do not become selfish, impatient and demanding with those who, along with their normal commitments, are doing their best to look after you: this is passive Sabr. If things do not go as you planned or wished, you do not start complaining about your fate, saying that you did not deserve this, or even accusing God of being unjust to you: this is passive Sabr. Thus, again, we see that Sabr joins with, and flows in the same channel as, Iman; trust in the rahma of the Rahman. The collective form of passive Sabr is the collective habit, when the group is offended and attacked, of avoiding making a bad situation worse by reacting in the same style. Often, enduring offences with appropriate, controlled speech, or appropriate, controlled silence, will allow the situation to defuse. Failures in passive Sabr at group level can lead to sectarianism, communal strife, even violent conflicts and killings. As a group we may not demand praise, success and glory in the world, just as we do not do that individually. Nor as a group do we accuse God that our situation in the world is not as we deserve, as if we could know better than Him what we deserve. Trusting in God, in His witnessing of our case and His intending for us only that which is for our ultimate good, suppressing our cause for His cause, submitting our will to His will: this is Sabr and Iman, together. 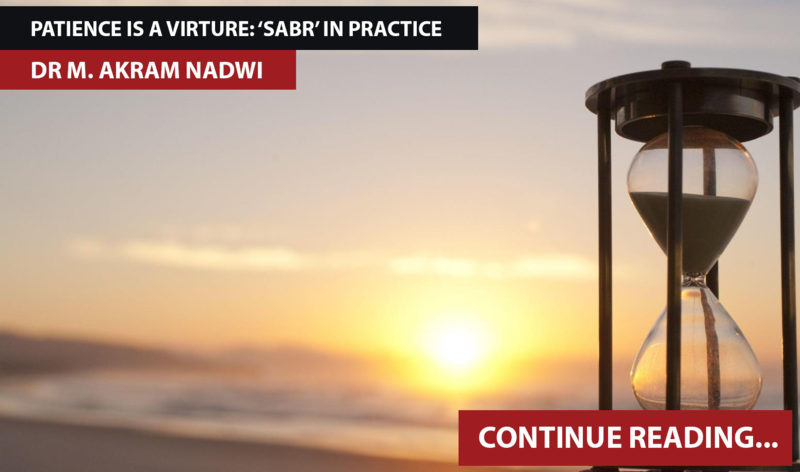 It should be clear that in such different situations we are seeking the same virtue, since the practice of Sabr is a branch of the root virtue of Iman. I said of active Sabr that it is a sort of promise-keeping, which in turn is like paying a debt that you owe to yourself. Some promises that we make are visible, formal and explicit, like the contract of marriage. But most promises, with all the obligations they entail, are invisible, implicit, embedded in the situation that we live through. Family life essentially consists of implicit promises (debts and obligations) embedded in the bonds of the kin structure (arham). What one owes to grandparents and parents, uncles and aunts, siblings, cousins, and those close neighbours and friends who become like family, are mutual responsibilities that run on through a whole lifetime, and beyond, as the generations unfold. Family life, because it is (mostly) cut off from public scrutiny and from public approval or blame, is both the training-ground and the proving of the quality of our Sabr, active and passive. Yet, before this lifetime of trial, there is another, greater promise that we made, a compact (mithaq) that we entered into, and which embraces and overrides all others. God asked us before we were born: Am I not your Lord? And we answered: Surely, yes! The conspicuous test and proof of our adherence to the meaning of this compact is Salah. Our prayer is perhaps, as believers, our most comprehensive effort in Sabr, active and passive, individual and collective. We must endure through a prescribed minimum of it, each day, every day, with no exception, throughout life. We can do more than the minimum. But still we cannot do enough. When, in response to the adhan, we turn away from the preoccupations of the world, we are disentangling ourselves from the world in the same way as when we turn away from entanglement in others’ anger, abuse, etc. When we call others to prayer by voice and example, when we are present, not only at the prayer, but in the prayer, we are striving actively to be Sabirun, individually and collectively. Then, as God does not command (or decree) except what is good for us, we find that, after the Salah, the Sabr we can depend upon, for both our singular and group purposes, is firmer, deeper, easier. That strengthens our Iman, which returns us, with less effort, to Salah.